It's a German car at a very affordable price. 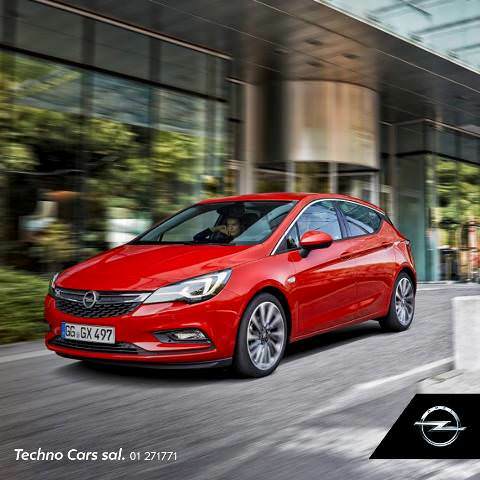 The Astra offers comfort, good design and connectivity, notably on the hatchback version. The sedan version is a cheaper alternative with less equipment and a less powerful engine. A: More or less. The price advertised is indeed for the Astra Sedan, but the car varies a bit visually, you won't have front fog lights or alloy wheels. Q: Is there any hidden price? A: No, the price for the Astra includes VAT and registration, so you'll be paying the same amount you see in the ad. A: The Hatchback variant of the Astra is a richer car in terms of equipment all around, it outputs more power and is priced at $27,500 incl. VAT & registration. Check out the section below for all the details. Q: Is the offer only valid till July 3rd? Is it expired now? A: No it isn't, we have recently contacted the company, and the offer is likely to keep running. Even if these cars are both called Astra, we think they'll appeal to different people. The key differences include a bigger engine, more tech and a higher price on the Hatchback version. In our opinion, it will appeal to younger people more when compared to the Astra Sedan. In absolute terms, it's also a step up in terms of refinement on both the interior and exterior. The Sedan version on the other hand has its own unique differentiators. It's a German car at a very affordable price, it doesn't trade-off on any of the safety features or key features that you expect to get in a car of this price. In our opinion, it would appeal and suit families who want something different than what the Japs or Koreans have to offer. Which one do you think would suit you best and why? N.B. : Always keep an eye for the Similar Ads seen below, these include cars in the same category that you can browse or compare to grasp a top-down picture of your options.